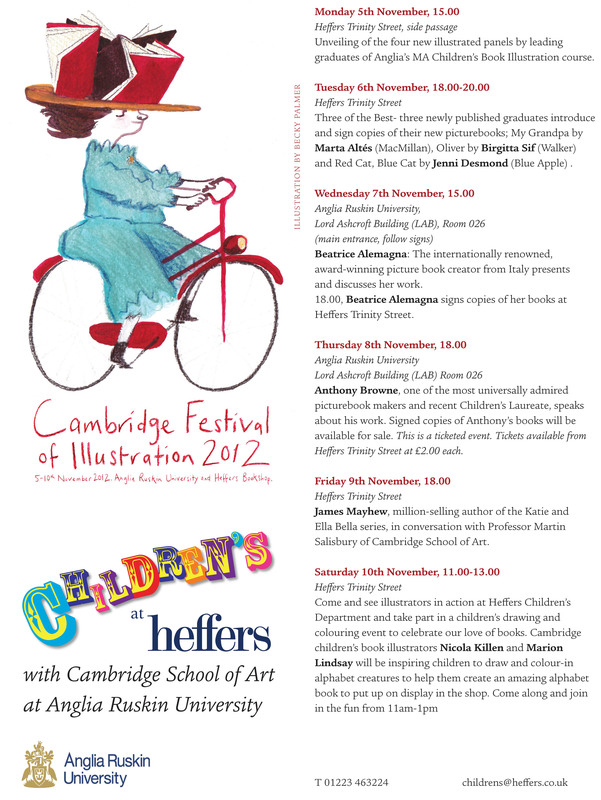 Tomorrow my studio pal Nicola Killen and I are going to be taking part in Cambridge’s Festival of Illustration. We will be holding a children’s workshop in Heffers children’s bookshop where we and the children will be drawing, colouring and collaging. The plan is to create a fantastic alphabet book to put up on display and considering there are 26 letters to take care of we will need lots of help! The workshop is being held between 11am and 1pm so do come along!